Banana Yeti covers over 40 languages that use the Latin alphabet, with a full range of accents and diacritics. 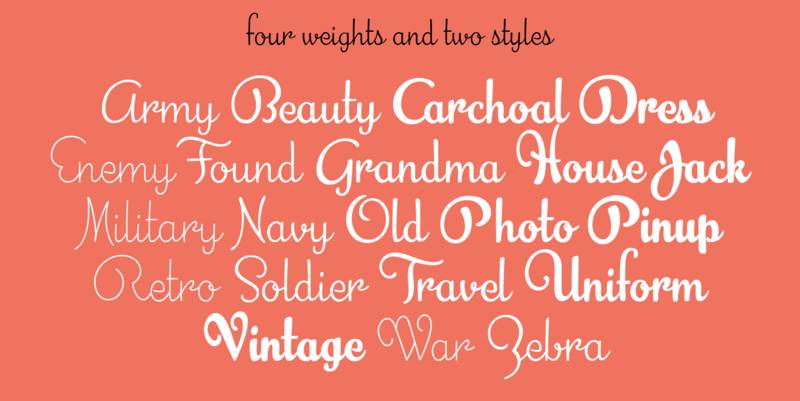 It comes in four weights plus a special monoline weight. 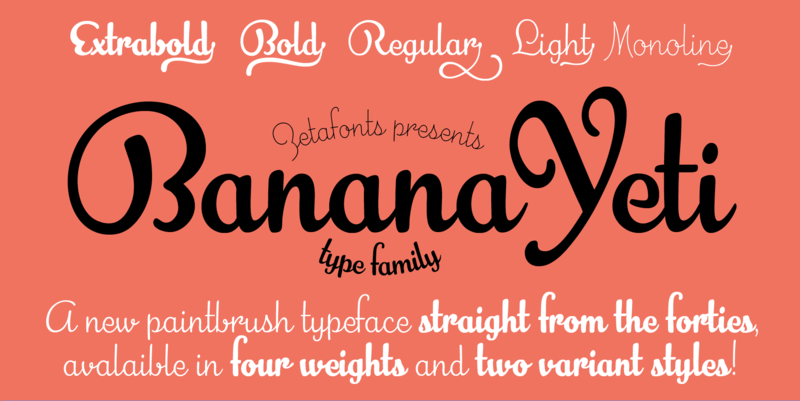 Banana Yeti makes full use of Open Type ligatures to provide swashes, arching letters and a wide array of ligature characters for a more handmade, natural look. Swashes can be accessed through glyph palette or by typing one to six underscores after the letter. Typing an underscore before a phrase creates arching text; close arch with another underscore. Variant ampersands can be accessed through glyph palette or by typing multiple ampersand characters.